“Agon,” Stravinsky’s atonal composition, is regarded as the composer’s first work that employed Arnold Schoenberg’s 12-tone technique -- a radical method of composition that uses all 12 notes of the chromatic scale and gives equal importance to every one. The original “Agon” consisted of 12 movements and 12 dancers. 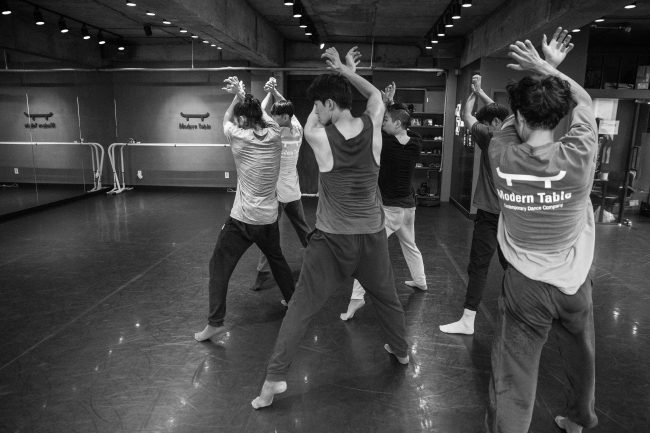 The Korea National Contemporary Dance Company’s “Three Stravinsky” runs Nov. 30 - Dec. 2 at Seoul Arts Center, CJ Towol Theater.